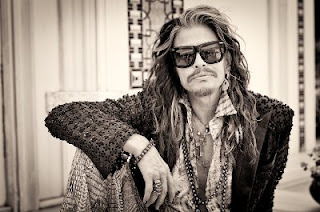 Yesterday (September 27), it was announced that Aerosmith would be cancelling the rest of their South American tour after lead singer Steven Tyler was flown home to the U.S. for medical treatment. We still don't know what is ailing the 69-year-old singer but his daughter, Mia, says that he is getting better. Thanks for all the love and concern. Pops is doing well and should be back to jibber jabbin flippidy flappin real soon. If the 70's didn't do him in, nothing can. Reps for the band have also said that " With proper rest and treatment he will be back on his feet soon rocking the world." The rest of the band also took some time to visit with fans in Brazil before boarding a plane back to the U.S.